The $29.9 million third-party development is scheduled for completion in summer 2017. 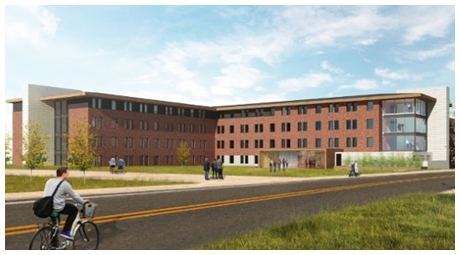 When completed, the university will manage the 490-bed community. The 136,975-sf community will be a freshman-only residence hall designed to foster a sense of community for first-year college students. It will also provide private study rooms, several communal areas, laundry facilities (with smartphone app monitoring capabilities), robust internet, and Wi-Fi throughout the building.